Since 1995, Total Control Systems (TCS) has been at the forefront in design and manufacturing of precision custody transfer flow meters and accessories. Manufactured with the highest quality, TCS flow meters can offer system solutions for custody-transfer measurement of refined fuels, LPG, fertilizers, chemicals, alcohols, and solvents for vehicle, dispense, and fixed site installation applications. 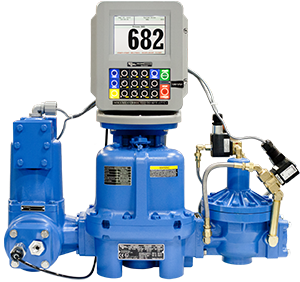 TCS also offers a wide range of accessory equipment, including strainers, air and vapor eliminators, control valves pulse transmitters, and mechanical or electronic registration to complete system needs. TCS is family owned and operated and looks to build relationships, not just profits. Because of this mentality, TCS has the reputation as the supplier of choice in all of their markets. They are focused on delivering the highest quality products and the best services at a fair price. Each meter is designed and manufactured using the finest engineering practices, automated test cells, and state-of-the-art CNC machines in their world-class manufacturing facility. Every flow meter is built and test by highly skilled members of the production team with the upmost regard to excellent workmanship and quality. The TCS 700 rotary flow meter has excellent accuracy and low pressure drop. The meter has a compact and lightweight design, in addition to its long life and minimal maintenance. The design consists of a housing and three rotors that rotate in unison within the measuring chamber with no metal to metal contact, which extends the life of the meter and eliminates any deterioration in accuracy. The TCS 682 reciprocating piston flow meter boasts high accuracy (+/- 0.1% over flow range) and a wide turndown ratio. It has a rugged industrial design that can handle changing viscosities, temperatures, and liquids with suspensions and solids. The unique inline design consisting of three reciprocating pistons operating within their respective measuring chambers makes the TCS 682 a true positive displacement meter. Materials available are Al, DI, or SS. The TCS 3000 and Mechanical registers can help control and monitor a system through the flow meter. Features of the electronic TCS 3000 are a large display monitor flows easily, single or multiple products can be measured, there is an open printer interface, preset price or volume measurements, and automatic volume temperature correction; there is even Wi-Fi, cellular, and wireless controls available. The mechanical registers have options such as ticket printers, preset counters, microswitch cutoffs, pulse transmitters, and tray switchers. 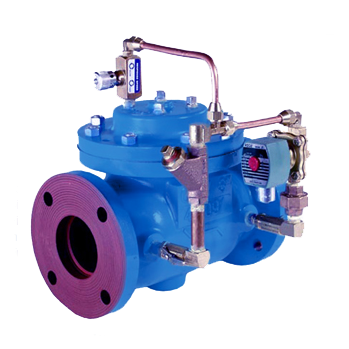 TCS also offers accessories such as mechanical, pneumatic, electronic actuate piston, and diaphragm control valves to control flows for a variety of applications. Air and vapor eliminators extract free or accumulated volumes of air or vapor from a liquid. TCS pulse transmitters allow volume data to be sent to a remote display, register, computer, or fuel management system by converting mechanical rotation into electronic pulses. It features aluminum housing with stainless steel hardware, including a stainless steel glandless drive with nickel plated magnets.